Stock Low : 332 items left. 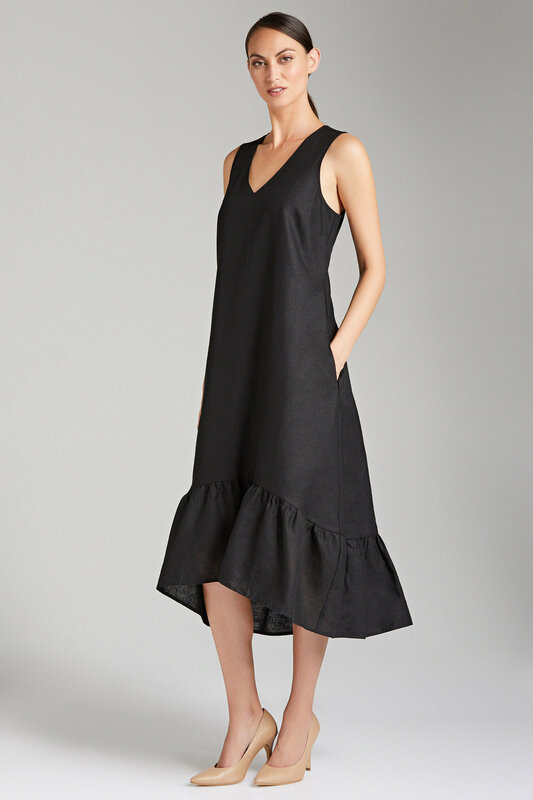 Take on any occasion in minimalist excellence with the Capture Linen Maxi Dress, in a simple and flattering shape with ultra-trendy ruffles to the hem. 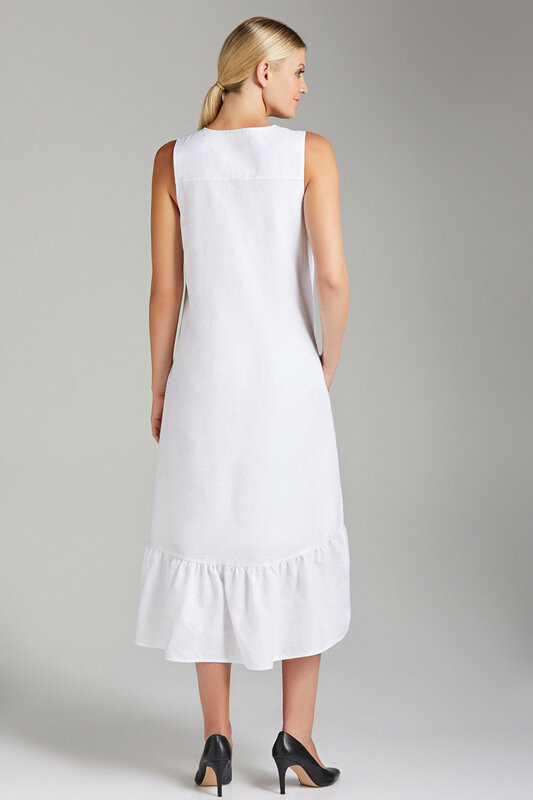 It's crafted from a quality blend of linen and cotton, a glorious fabric perfect for all seasons thanks to its breathable, temperature-regulating and lightweight qualities. Wear yours with strappy sandals and a wide-brimmed hat, with layered jewellery and a cross-body bag for timeless, effortless weekend style.